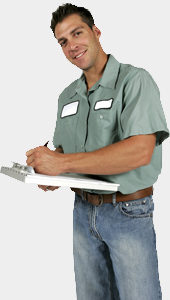 Did you know that there are over 1,300 Air Conditioning Contractors in the Houston Area? Not surprised. But it is surprising that the state of Texas requires Houston Air Conditioning companies to be licensed but not technicians. Technicians are not even required to graduate from a technical school. That means that the quality of the individual A/C company is dependent on how much it invests in training its technicians, their concern for the customer, and the standard that it holds itself to. John Guerry Sr. started this company with a vision to provide families living in Houston with a contractor that they could trust. One that they would see in the community, who is involved, and has a commitment to excellence that drove it to be the best. As Aardvark A/C has grown we have kept the company in the family because we feel that in order to continue John's vision, Aardvark must be run by people who share that vision. We are proud of how Aardvark has grown and invite you to learn more about who Aardvark A/C is. If you are looking for a Houston air conditioning company, please call us today at 281.955.1163 or complete our online service request form.